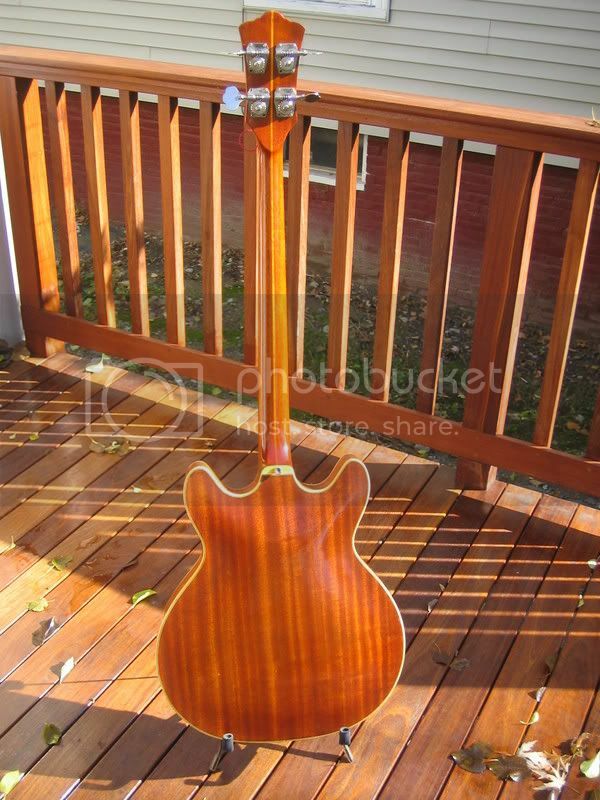 The other recent project that came my way is a stripped 1968 Guild Starfire bass, which a customer in New York asked me to refinish. We are still pondering exactly what to do with the bass - his preference is to get all remnants of the old finish off the bass - and then do some sort of natural finish that will show off the mahogany of the body and still protect it. 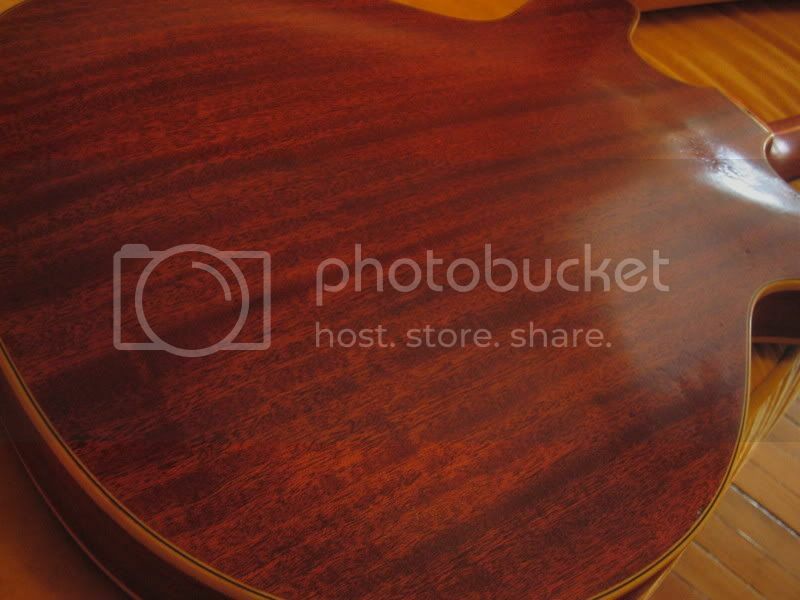 If that doesn't look so great, then we may go for a sunburst type of finish - which was used on these instruments during the 60s. 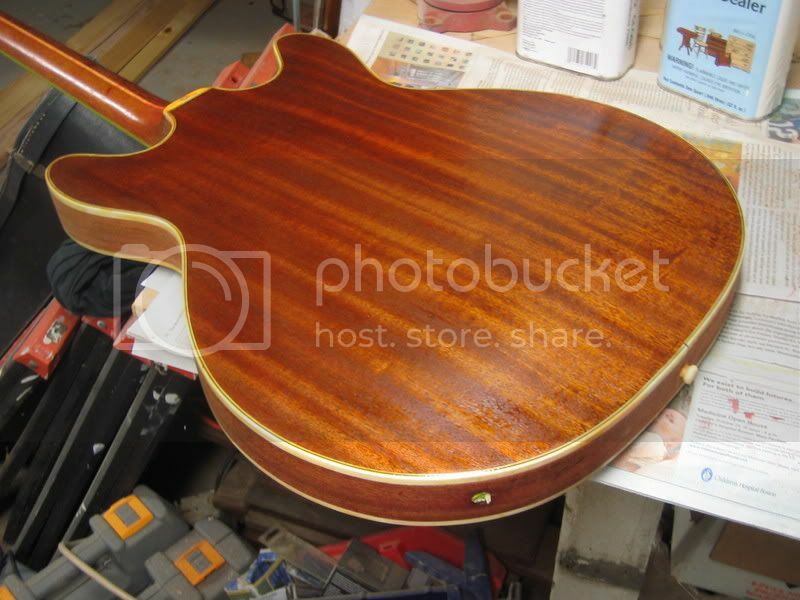 Since I would clear coat the bass anyway as part of any refin, I will proceed with filling the mahogany grain, sanding down the filler and then clear coating the body. I will post pictures later. An interesting side note is that I refinished my own Starfire bass many years ago - trying to match the original green that someone had removed. 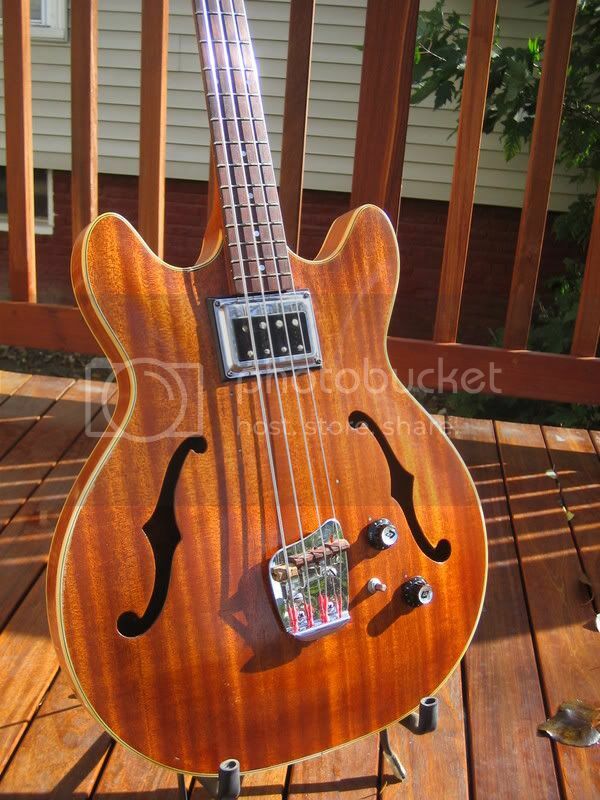 I later saw other green Guilds, which were a much darker color - however once I got this particular Starfire I realized why - my Starfire bass (1965) has a body made entirely of maple - a very light colored wood. The other green Guilds I have seen most likely are mahogany, which would give the green a darker and browner/olive tint. 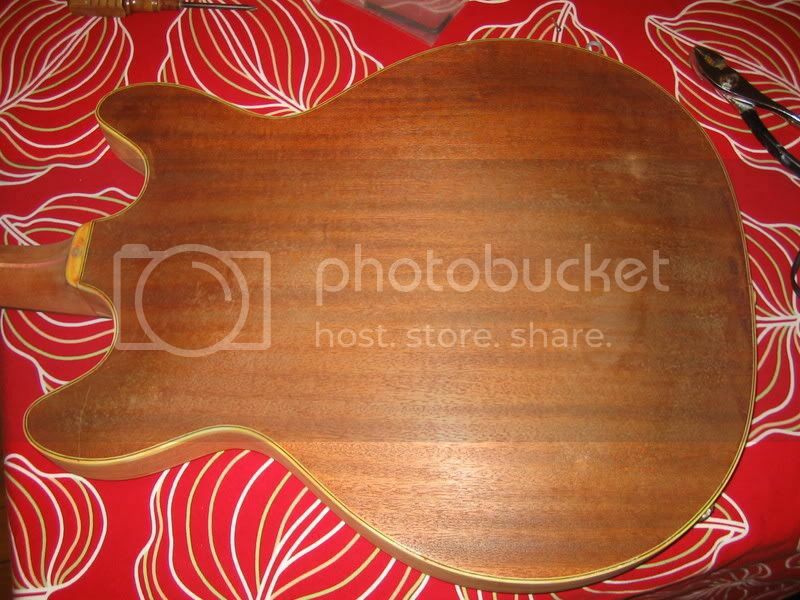 Now I have had a little time to work on the bass - I tried using Cirix stripper to get rid of some traces of the original cherry finish, and though some of it seemed to come off, more seemed to get released from the pores of the mahogany also. 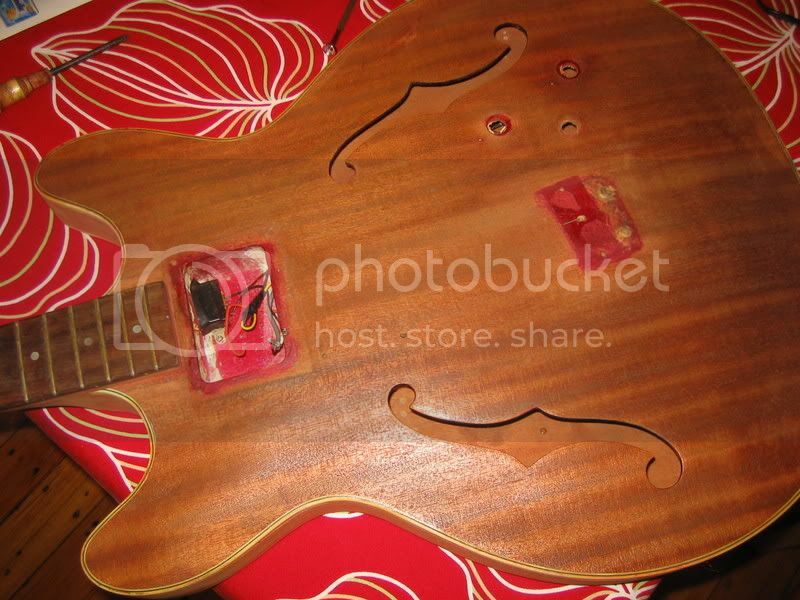 I ended up just sanding the back and the neck of the bass, and then spraying a clearcoat of nitro to see what the wood looked like. It looks pretty good now that I sanded it down ! Next up I'll probably fill the grain on the whole bass - sand it down again so that the filler only remains in the pores of the wood - and then spray the bass clear or with a slight amber tint. I have finally finished this project - which took a bit of work. I filled the grain, and then sanded the whole instrument - which was remarkably laborious, due to the arched front and back. Note to self - charge extra in future for arch-tops! I had to use a lot of grain filler as the body had been stripped harshly at some point in the past, maybe with steel wool (BAD on soft woods people! ), so the grain was especially challenging to fill. 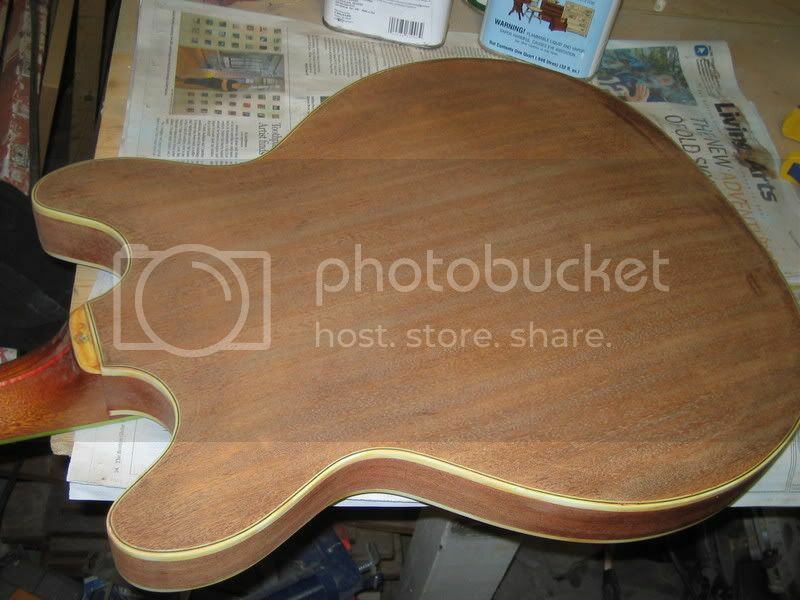 Below, the body before sanding. After much much much sanding and then many coats of clear lacquer, the mahogany finally looks like I wanted. 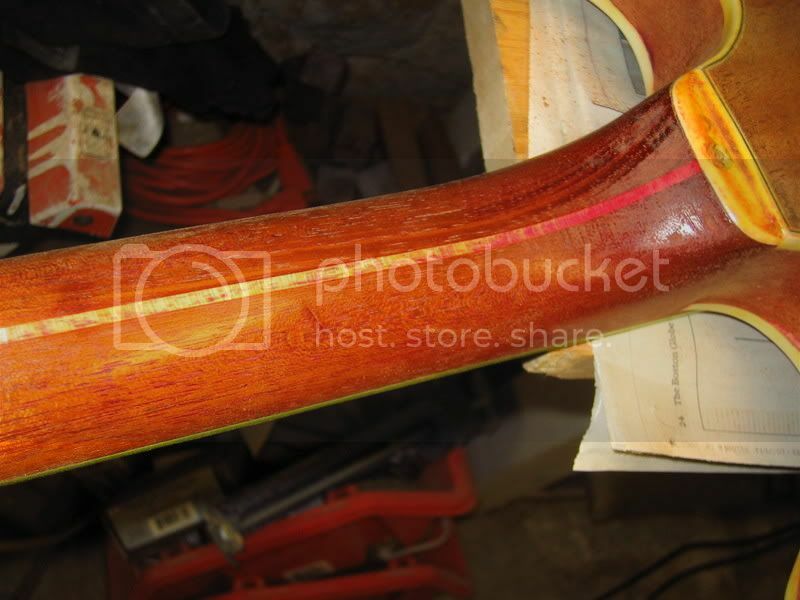 Wet sanding and compounding and buffing brought a nice gloss to the wood, with some texture from the grain still visible - like an older piece of mahogany furniture or an older Gibson, where the filler has slightly shrunken under the lacquer. 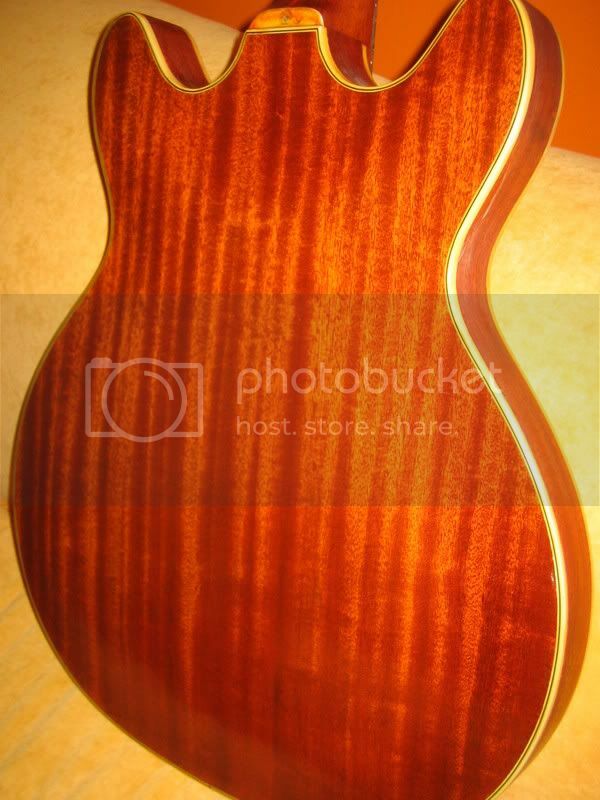 The mahogany has a semi-flamed 3-D look to it now - very cool, but hard to capture in the pictures. 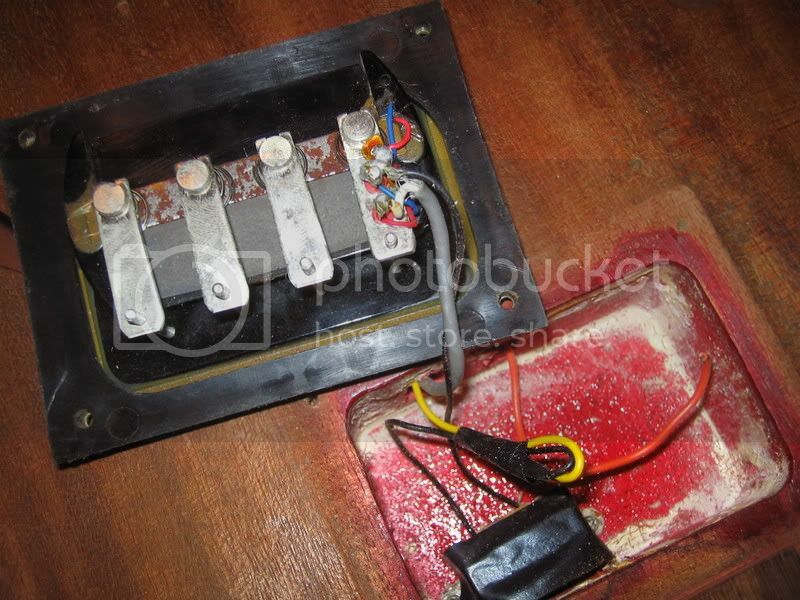 I did the resoldering and cleaning up of the electronics this morning - reinstalling electronics in a hollow-body is ALWAYS so much fun - a coat hanger, needle nose pliers and lots of cursing was required, but finally it all went together. 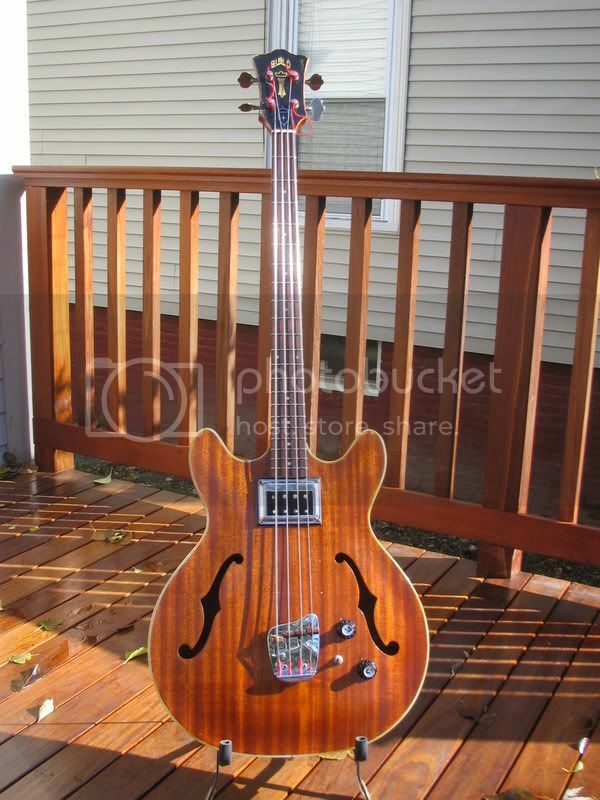 I plugged it in, and everything works - the Hagstrom pickup sounds great - and the "bass removal filter" works - though why you would want to use it is beyond me. Anyway - some pics of the final product are below - notice that the shrunken headstock overlay has remained - shrunken - anyone have a line on NOS overlays for a Starfire out there ? This is an absolutely gorgeous finish. Kudos to you and your shop.